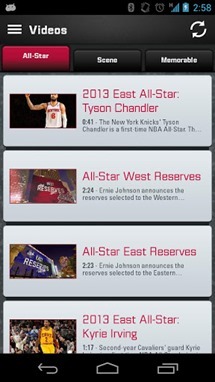 If you're headed to Houston next weekend for the NBA All-Star Game, do yourself a favor and download the official app. 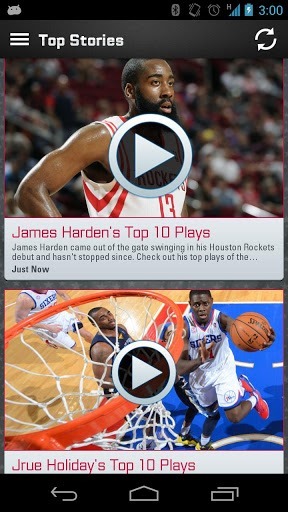 It functions as both an event guide and a nifty preview, for those NBA fans who can't make it to the game. What's surprising about the All-Star app is that it's really, really well-done: there's a ton of free content, the interface roughly follows Holo guidelines, and it's available to everyone. Hey, Verizon and the NFL: take some notes here. For those who'll be at the game itself, there's an event guide for the entire weekend, as well as a map of the relevant venues in Houston, their surrounding parking options, and places to pick up official memorabilia. Remote fans can check up on news, watch videos, vote on the outcome, and see the latest happenings on Twitter. While the app is sponsored by Sprint, anyone with an Android smartphone or tablet can download it for free. Again, Verizon, are you paying attention here? It's worth noting that some users are having issues accessing videos or the voting function, but I haven't experienced any problems.